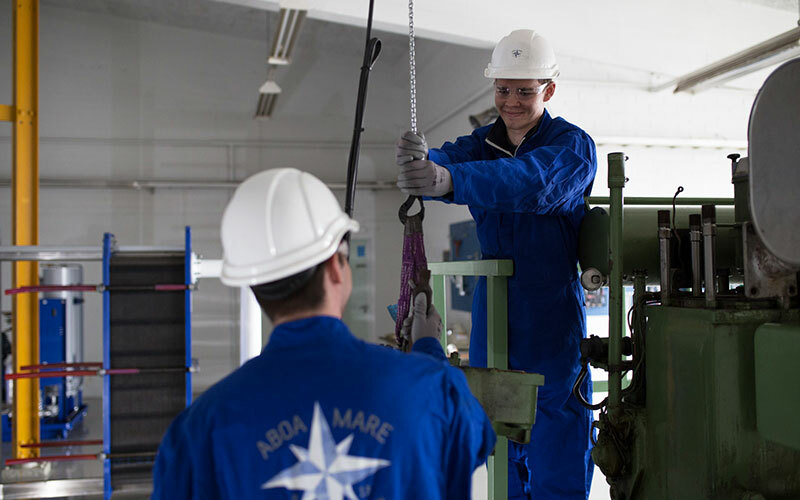 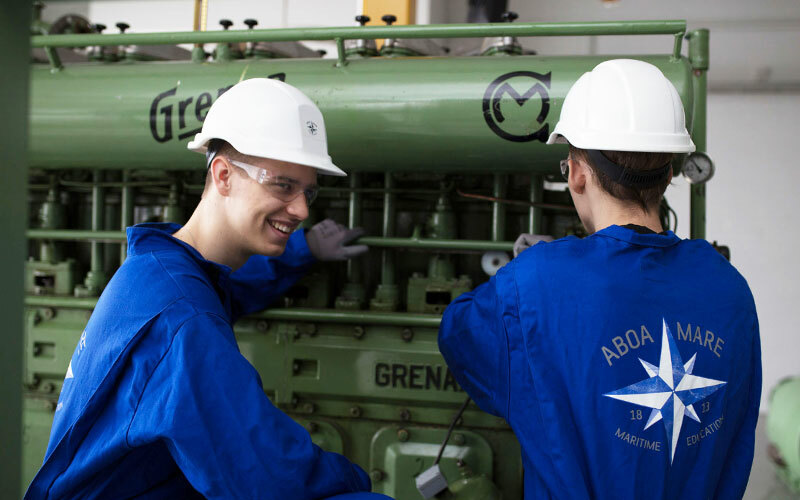 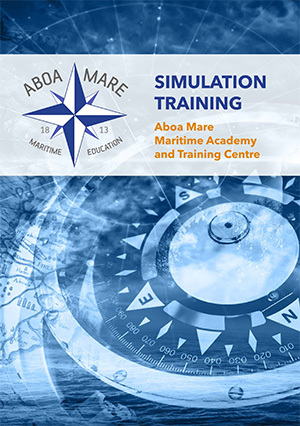 In the machinery laboratory we have most of the machinery and equipment found in a ship engine room, for hands-on training. 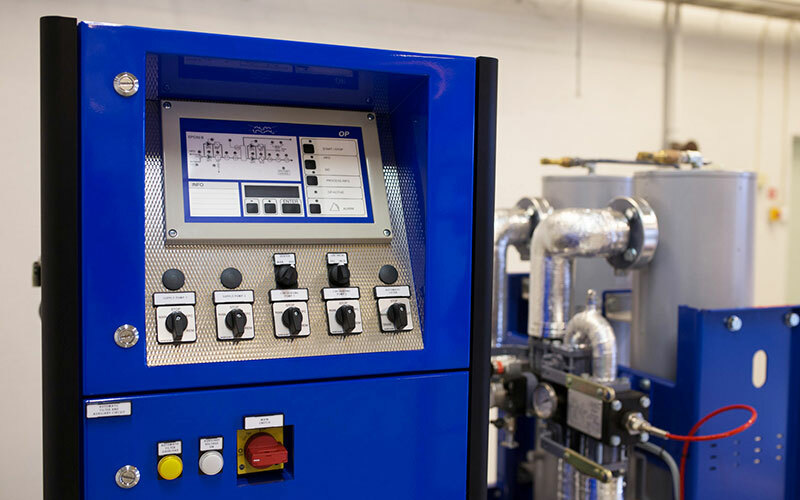 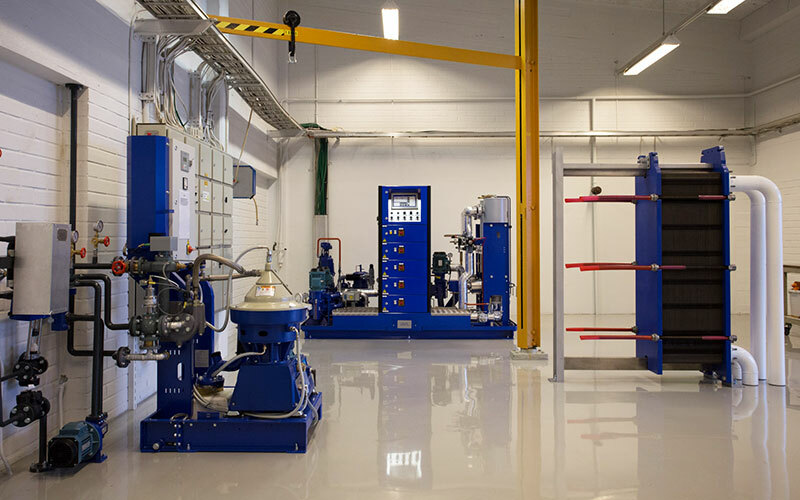 The machinery laboratory includes for instance a Grenaa, 6-cylinder four stroke main engine, a fuel oil separator, a booster unit and heat exchanger from Alfa Laval, oil burned boiler built as a steam system and a Hat-Lapa start air compressor. 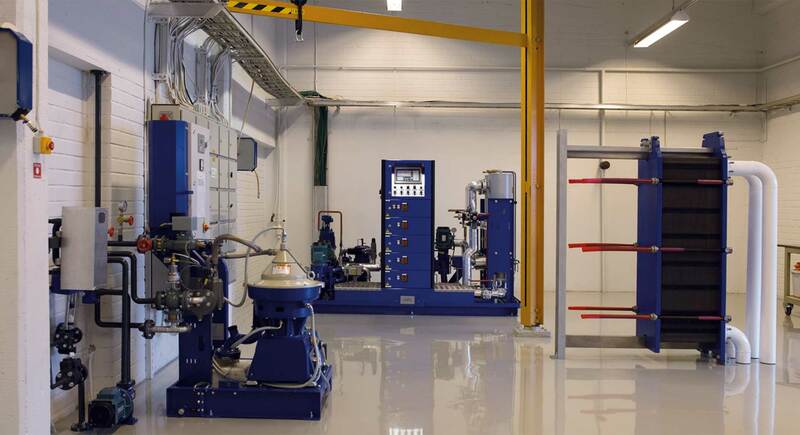 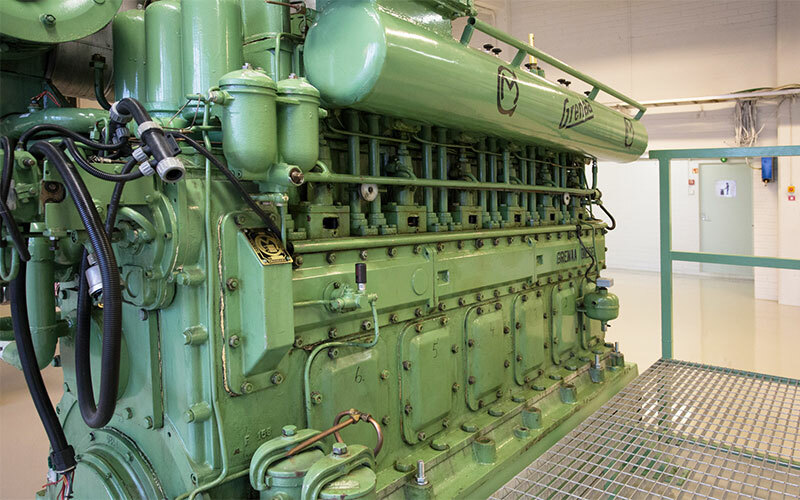 The laboratory also includes an auxiliary engine room (with a fighter plane turbine) with a Scania diesel generator. 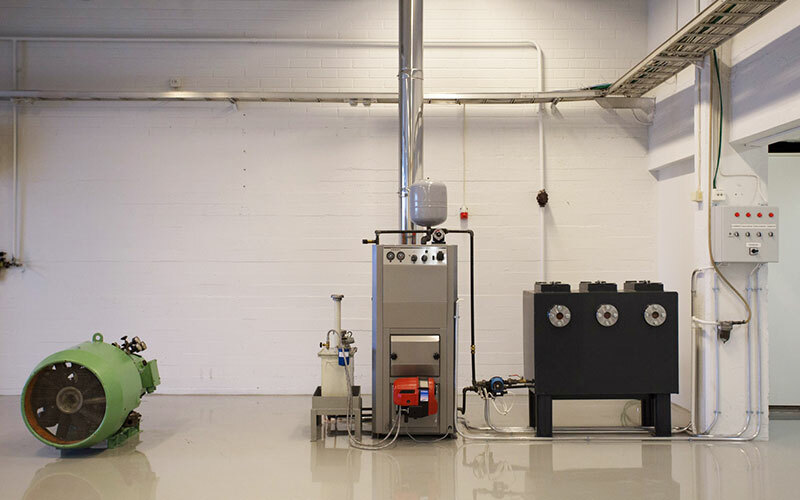 The machinery laboratory is located in Parainen, close to Turku.